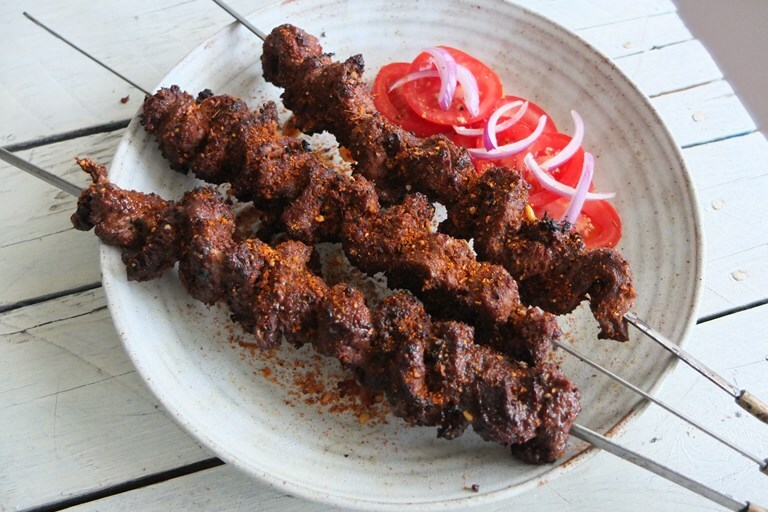 Helen Graves' suya recipe is a brilliant way to impress your barbecue guests. Suya is identified by a particular spice blend – known as yaji – which is rubbed all over the beef before barbecuing. The contents of yaji vary all over West Africa, but Helen goes for a typical version that includes scotch bonnet powder, cumin, paprika, grains of Selim, cloves and peanuts.